Born in Barbados, murr is a composer and producer of electronic music and a sound designer for theatre and film. 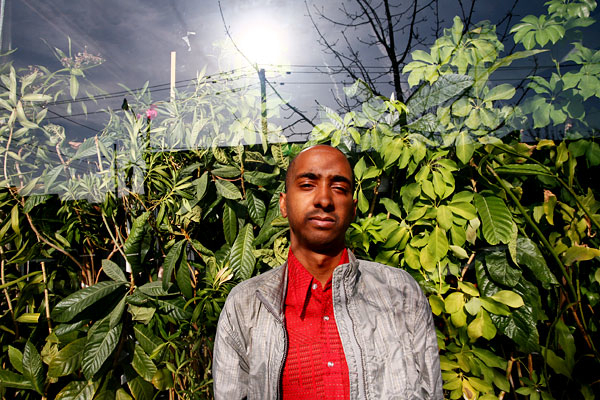 He is a founding member of the band Lal and the music production company Da Grassroots. He has produced for Mood Ruff, Ghetto Concept and K-os, among others, and has released 12 inch vinyl on Nick Holder’s DNH label, Adam Marshall’s New Kanada Label and various electronic works on Public Transit Records. Entirely self-taught, murr’s journey into music began with two tape decks. Staying up all night he would record songs off the radio and then repeat them, creating sound collages, composing whole stories using the lyrics of popular songs. He then graduated to turntables and then to Samplers and Computers. Though hip hop has been the love and push behind murr’s production style, he also felt he had to explore other modes of programming. This need led him to exploring and experimenting with different forms of Electronic music: techno, house, and drum and bass. Public Transit Records has provided an outlet for his love of experimentation. Nicholas also conducts sound workshops with Rosina Kazi for the community based organization ‘Community Centre’.